In April 2011 Chichester Copywriter’s Katy decided to expand her services and offer something to like-minded creatives looking to further their creative writing skills. Katy started by organising a Writers’ Retreat Weekend, combining some of the things that get her creative juices flowing at a location that inspires her to put pen to paper. “I had the pleasure of working with Katy at the first Chichester Copywriter’s Retreat in 2011, where I was running a creative writing workshop for her group. Katy has a great passion for her chosen area of work, which was evident throughout the weekend retreat, when she provided her guests with a professional, creative, informative experience, in a wonderful setting. Highly recommended!” Isabel Ashdown, Author. 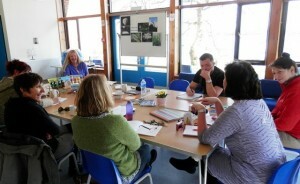 “I very much enjoyed attending the writers’ retreat that Katy recently ran. I will be attending again.” Denyse Kirkby, Author. “I would like to thank you very much for your careful preparation and delivery of our writing retreat weekend programme. There was a nice balance between workshops, writing exercises and breaks. “I am left with wonderful impressions and memories and I feel privileged to meet so many amazing people – you, the group and the speakers. I particularly enjoyed Denise Bennett’s talk and Mary Atkinson’s talk as I connected with both speakers and their subjects in a more profound way. The venue exceeded my expectations! Do you want to inspire your Creative Writing this summer? Budding wordsmiths and all those interested in writing. Want to brush up on your penmanship? Want some peace and quiet to get those chapters finished? Want to meet like-minded creatives? This is certain be your cup of Earl Grey! A Writers’ Retreat with interactive creative writing workshops, informative talks and free writing time in an inspirational location. You will get the chance to take in the stunning Sussex countryside, enjoy the fresh air and put that pen to paper. 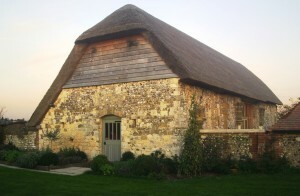 Tortington Priory Barn, Priory Lane, Arundel, West Sussex BN18 0BG. 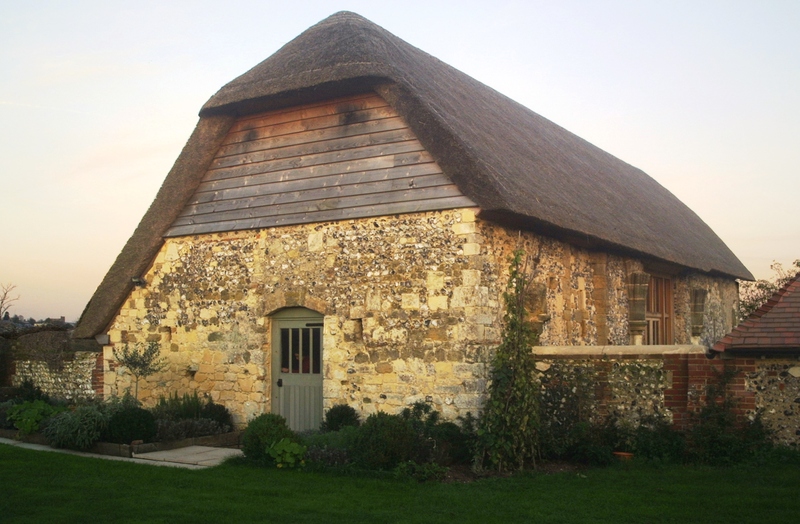 Tortington Priory Barn is a comfortable, modern building (winner of an English Heritage Award) nestling in the shadows of an atmospheric thatched Grade II Listed Building with views across to Arundel Castle and Cathedral. Saturday only (access to daily workshops and talks with lunch): £95 (£85 for early-bird bookings*). Sunday only (access to daily workshops and talks with lunch): £95 (£85 for early-bird bookings*). Weekend – Saturday and Sunday (access to all workshops and talks with lunch on both days): £180 (£165 for early-bird bookings*). 10:15-12:15 Inspirations: Looking Outside with Cathy Watts (Sandies in the Beach Huts, 2008; Hello Again Sandies! !, 2009; Watch Out for the Sandies, 2011; The Woodies by the Ponds, 2012) Much of Cathy Watts’ work for children is inspired by the world around us. Cathy will help you to consider aspects of the natural world that inspire creative writing in a two-hour workshop. This session will include a visit to the two ponds and the summerhouse on-site where her fourth book was set. Cathy Watts teaches English and German at the University of Brighton and published her first children’s book, Sandies in the Beach Huts, in 2008. This was followed in 2009 by Hello Again Sandies!! and in 2011 by Watch Out for the Sandies. The Sandies are a group of small characters who live underneath a row of beach huts and come out at night to put the beach and the promenade to rights after all the human visitors have gone home at the end of the day. Cathy works with watercolour artist Emma Ball and her fourth children’s book The Woodies by the Ponds, which is set around some medieval fishponds, was published in October, 2012. Cathy’s books are all aimed at 6-to-10-year-olds and inspire a love of the natural world around us. You can find out more about Cathy at: www.beachhutbooks.co.uk and www.pondlifebooks.co.uk. 14:30-16:00 An Insider’s View of Publishing with Abbie Headon (Poetry First Aid Kit, Summersdale Publishers Ltd, 2013) The publishing process can seem mysterious and offputtingly technical to those outside of the industry. In this session, Abbie Headon, Managing and Commissioning Editor at Summersdale, will give a guided tour of the lifecycle of a book, from proposal through to publication, covering topics such as editing, cover design, format choices and social media promotion. Questions on all aspects of publishing are welcomed, and whether you are interested in self-publishing or the more traditional routes to market, this session aims to inform and motivate you. 16:00-17:00 Social Media Marketing and Copy-editing Q&A for Writers with Katy Lassetter of Chichester Copywriter This informal session is your chance to ask digital marketing and copywriting professional Katy any burning questions that you may have about Social Media Marketing and/or copy-editing; just pop in and get some expert advice! To make sure that your questions are addressed, please email Katy in advance. As well as being host to this Writers’ Retreat, Katy of Chichester Copywriter has an impressive portfolio of clients, including University of Cambridge International Examinations and University of Chichester. With more than ten year’s copywriting experience, Katy has copy-edited self-published books including Once Upon a Touch…Story Massage for Children by Mary Atkinson and Sandra Hooper and The Doomsday Chronicles: Welcome To Baronsville by Daniel Hobden. Katy – who can set up and optimise any combination of Facebook, Twitter, LinkedIn, Pinterest and blog accounts – has provided authors such as Jane Rusbridge and Vicky Edwards with social media marketing consultation. Chichester Copywriter also coordinates the Facebook and Twitter marketing for Festival of Chichester. You can find out more about Katy at: www.ChichesterCopwriter.co.uk. 10:15-12:15 You And Your Writing with Mark A Radcliffe (Gabriel’s Angel, Bluemoose, 2010; Stranger Than Kindness, Bluemoose, 2013) Merging the world we ‘know’ with the imagination to enrich your fiction; this engaged and fun workshop will include exercises in character development, dialogue and using the things or places we know to enhance our fiction without overwhelming it. Mark A Radcliffe is the author of two novels, Gabriel’s Angel and Stranger Than Kindness. He is a senior lecturer in Health Sciences at the University of Brighton and has taught writing, in both creative and personal development/therapeutic contexts, in various educational and clinical settings. Mark is an award-winning columnist with The Nursing Times for whom he has written for over 20 years. His articles have also been published in: The Guardian, The British Medical Journal, The Idler and When Saturday Comes. 14:30-16:00 Once Upon a Touch… the story behind an eBook that combines storytelling and positive touch with Mary Atkinson (The Art of Indian Head Massage, Carlton Books, 2000, 2011; Personal Trainer: Hand and Foot Massage, Carlton Books, 2002, 2010; A Practical Guide to Self- Massage, Cico Books, 2005; Healing Touch for Children, Gaia, 2009; Once Upon a Touch…Story Massage for Children, 2013) and Sandra Hooper (Once Upon a Touch…Story Massage for Children, 2013) Mary and Sandra will share their experiences of the rewards and challenges of self-publishing their own successful non-fiction eBook. During this fun and interactive session, you will have the opportunity to ask questions and learn more about the concept of Story Massage, which involves the creative use of stories with simple massage strokes. 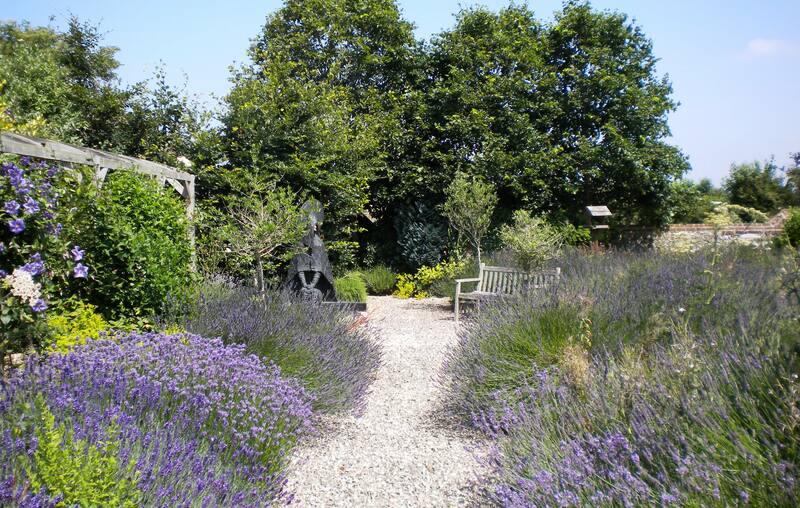 Plenty of space and free time to write inside the comfort of the barn or outside in the courtyards, in the lavender garden or by the two wild ponds. Excellent homemade lunches daily – including a sumptuous cream tea with homemade scones and cakes. Surely that will get your creative juices flowing? *Full payment will be required to secure booking. *Please book by 10th May, 2014, to qualify for the early-bird booking fee. Please send me details of events/workshops/writers retreats/etc. together with costs involved. Thank you. Hello, we don’t have any workshops or writers’ retreat booked in for 2012 at the moment but as soon as we do we will let you know. Thanks for your interest. Katy.